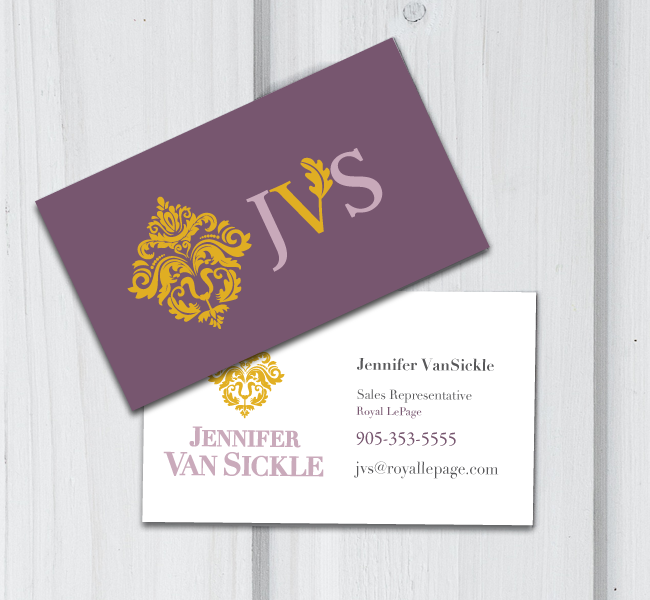 This custom, hand-sketched logo I designed for Jennifer VanSickle was so much fun to develop. From the subtle oak leaves to represent her Oakville roots, to the regal strength in the hidden lion’s face, to the damask like elegance in the flourish itself. The gold and mauve purple tones provide a level of sophistication. We created a custom brand board board, a unique pattern, and featured Primary logo and secondary badge.